What is a Sinking Fund and Should You Have One? Let’s imagine for a second that tomorrow your car breaks down tomorrow. Your anxiety is building wondering how you are going to get to work and then there is the repair. How do you plan on paying for the repair? Do you dip into your emergency savings, or pull out your credit card? The truth is, these types of expenses can be detrimental to your budget. You need to have a system in place that will allow you to pay for certain planned expenses with cash. So you are not getting into debt. That’s where sinking funds come in handy. Have you ever heard the team sinking fund? A sinking fund is a sum of money that you set aside (usually by saving a bit each month). It is completely separate from your savings account or your emergency fund. A sinking fund is used to pay for home repairs, save for a new car, pay for your vacation or cover large medical bills. By setting the money aside before you use it, you will avoid using your emergency fund. When it comes to personal finances, a sinking fund is a great financial safety net. It keeps you out of debt, on budget, and on track for your financial goals. You might be asking, “How is a sinking fund different from your emergency saving? A sinking fund is setup to save for a specific expense. You know what you are saving for, how much you’ll put in it, and when you will need to use it. An emergency fund is setting money aside for the unexpected. Your goal should be to have 3-6 months of expenses saved for all possible life emergencies. Both of these savings strategies will make you feel more at ease when it comes time to needing the money. They are setup for very different reasons. How Are Sinking Funds Different from Savings? With your savings account, you are working to build wealth. As you build your savings, it will eventually begin to work for you. This is not money that you want to dip into. Yet, with a sinking fund, you are saving up for your planned expense. A sinking fund is not likely to increase your net worth. But it lets you do the things you want to do, like buy a new car, go on vacation or put a down payment on a home. You may be a pro at padding your emergency fund or sticking to a monthly budget. 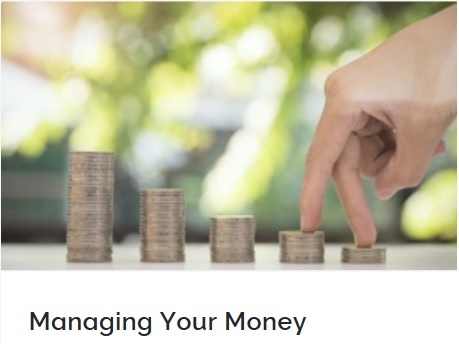 But adding sinking funds to your financial skill set can help you better manage your money. And focus on your financial goals. How to pay off your Home loan faster!